Ultra modern and highly advanced multispeciality orthodontic & dental implant centre. We offer Invisible lingual braces, Invisalign aligners, Dental Implants and cosmetic dental services at most affordable cost. The centre is located at commercial area of vibhuti khand Gomtinagar, easily accessible from all areas of Lucknow. I am totally satisfied with the services received at Orthodontic Masters. I am extremely thankful to the doctor Mr Akhil Agarwal for giving me the best advice for my dental problem.The best part is that the patient is listened thoroughly here. I felt no dilemma kind of situation in taking decision for my treatment ,because I was not forced (in a marketing manner) but was explained so nicely that I decided to go for my treatment without any doubt in mind. 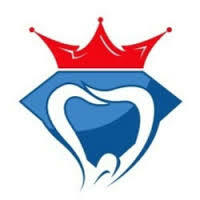 I would highly recommend this place to everyone seeking best and professional solutions to their dental problems. Thanks Ms Arti. We are grateful to you for nice words. This was my first visit to Dr Akhil Agarwal and I found him to be warm and professional. The procedure went as planned and I’m happy with results. Highest recommendation for Orthodontic Masters- Dr Akhil, Dr Sagarika and team. Clean and up to date facility with friendly staff. I went there for pain in my last molar. Dr Sagarika examined it and opt for RCT. While it was difficult to do RCT in last molar but she did it very well without any inconvenience to me. In one more tooth where I got RCT done 12 yrs ago, there was need for retreatment and I got surprise of my life when in X-Ray she found that there is a metallic piece of Operative bur. Apparently during last RCT, it was broken and Dentist did not notice it. It took lot of effort to takeout that piece and Kudos to Dr. Sagarika who finally able to took it out and put a new crown.